Palli Karma-Sahayak Foundation (PKSF) convened a National Conference with festivity on its Programme for Uplifting the Quality of the Lives of the Elderly People on 2 March 2017 in PKSF Auditorium. 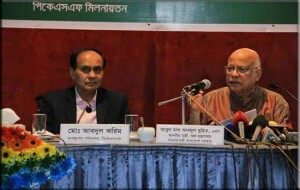 Mr. A. M. A Muhith, Finance Minister, Government of Bangladesh, was present at the Conference as the Chief Guest. 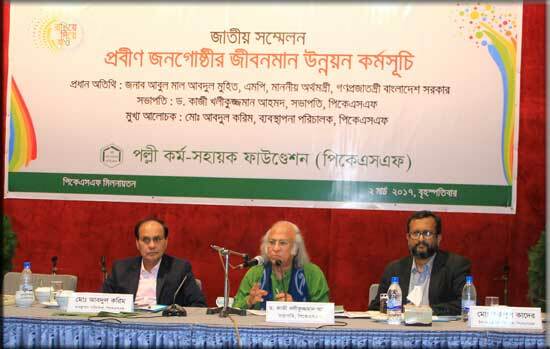 Dr. Qazi Kholiquzzaman Ahmad, Chairman, PKSF presided over the Conference. 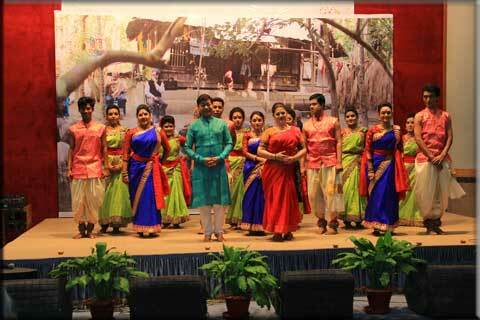 An open discussion was followed by a spectacular documentary presentation on PKSF’s initiatives for elderly people. An exhibition took place at the premises of PKSF Bhaban displaying facilities and services provided by PKSF to the aged people. PKSF is providing both financial and non-financial services in enabling disadvantaged people to take part in diversified livelihoods. In January 2016 PKSF, in persuasion of National Policy on Older Persons 2013, started its Programme for Uplifting the Quality of the Lives of the Elderly People concentrating on the well being of aged persons. Mr. Md. 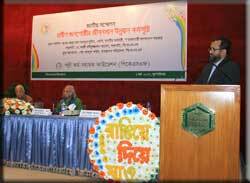 Abdul Karim, Managing Director, PKSF, applauded the Government of Bangladesh for enacting the Parents’ Care Act 2013. 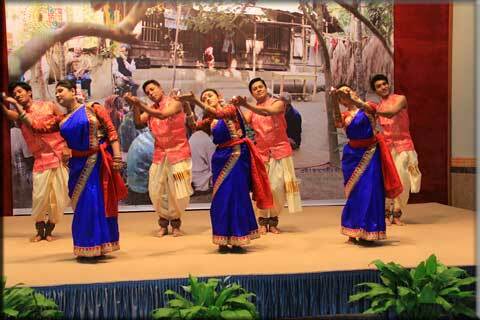 He remarked that, elderly people of Bangladesh are in much favorable position compared to the global scenario. 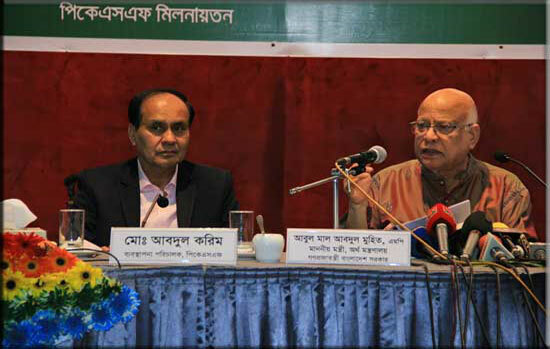 Finance Minister Mr. A. M. A Muhith thanked PKSF for initiating such a programme on elderly people of Bangladesh. He said, as longevity of people is increasing, the need for this programme is getting more and more concentration throughout the country day by day. 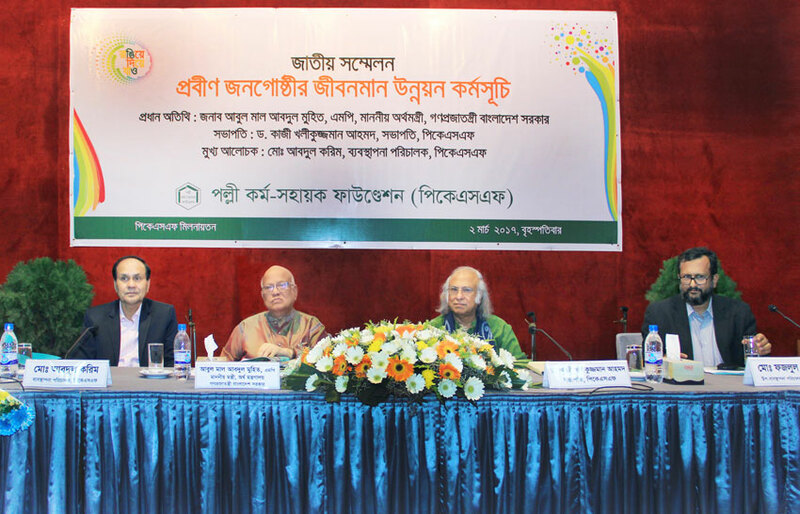 Dr. Ahmad, the Chair of the Conference, announced that programme for elderly people will be extended to another new fifty unions of ENRICH, a new holistic PKSF approach, all over the Bangladesh through a special budget allocation from PKSF. Earlier, Mr. Md. Fazlul Kader, Deputy Managing Director (Programme), PKSF, made a short presentation on PKSF’s programme for elderly people. Programme for Uplifting the Quality of the Lives of the Elderly People is being implemented in 20 Unions of 18 districts through 19 selected Partner Organizations (POs) of PKSF. A total of 31,807 elderly people have been identified as probable programme participants of the programme after a demographic and socio-economic survey. The activities being implemented are establishments of social centers for the elderly people, provision of old age allowance, special savings programme and pension fund, recognizing elderly persons’ contribution to society, providing awards to the best children for serving their parents, creating appropriate credit and training facilities, training up para-physiotherapist to provide geriatric nursing and creating special social facilities for the elderly people. 279 village committees, 174 ward committees and 20 Union committees of elderly people have been formed in 18 districts and they are being provided with training on leadership, communication and social awareness. The Government officials, the officials of PKSF and its Partner Organizations (POs), development agencies, journalists and other stakeholders attended the Conference. Noted dignitaries from institutions like BAAIGM, BUP, Orbis Intl, BWHC, BPA, Aging Support Forum, HelpAge Intl, CDF, Mousumi, Sir William Beveridge Foundation, etc were also present at the Conference. The conference ended with a magnificent cultural programme performed by Proyash, one of the POs of PKSF, and Spondon, a cultural academy.